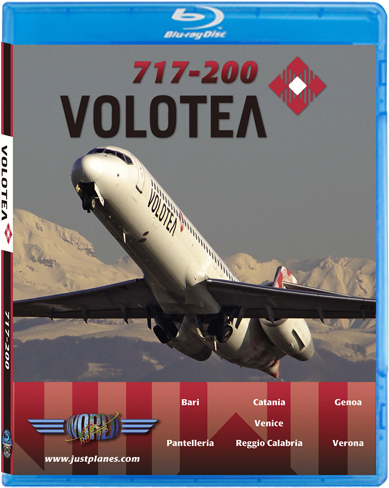 Just Planes welcome Volotea, the 254th airline in our Flight in the Cockpit, to our series! This fast growing airline is one of only a handful of 717 operators in the world and we're delighted to feature them and this great aircraft! The airline's Flight Operations Director hosts 8 of the 12 flights in this film which is packed with many great pilot presentations and some exciting routes and destinations across Italy! 263 mins. Tuote on lisätty luetteloomme keskiviikkona, 14. tammikuuta, 2015.